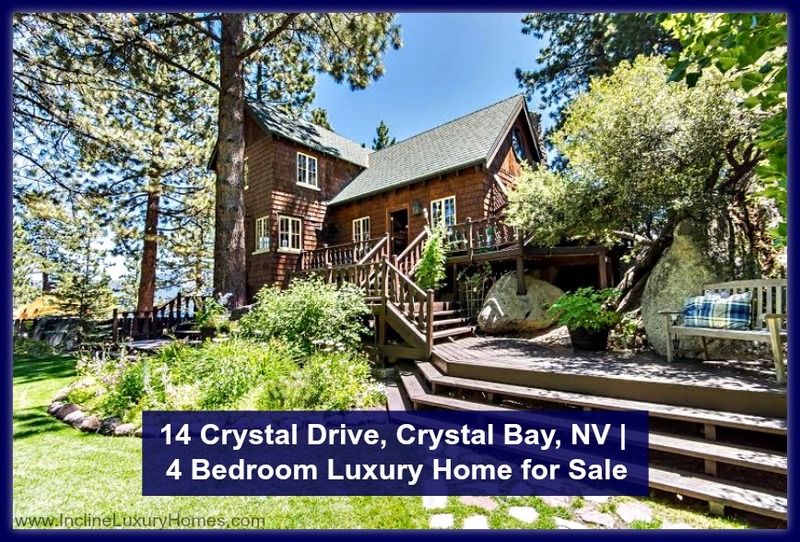 This exquisite luxury home for sale Incline Village NV called, “On The Rocks”, offers stunning granite boulders as part of this home’s overall design. Located in Crystal Bay, this 3-story home with 4 bedrooms and 3 bathrooms will surely capture your heart at first sight with its authentic piece of history. This beautiful home offers not only a manicured lawn and a flower garden, but also a breathtaking view of the lake in almost every room. A glorious view of nature is a welcoming sight as you enter this Incline Village real estate that is on the lakeside of Highway 28 in Crystal Bay. The towering pine trees make a perfect backdrop for this home that offers approximately 1,318 square feet of living space and modern plumbing and electrical connections. 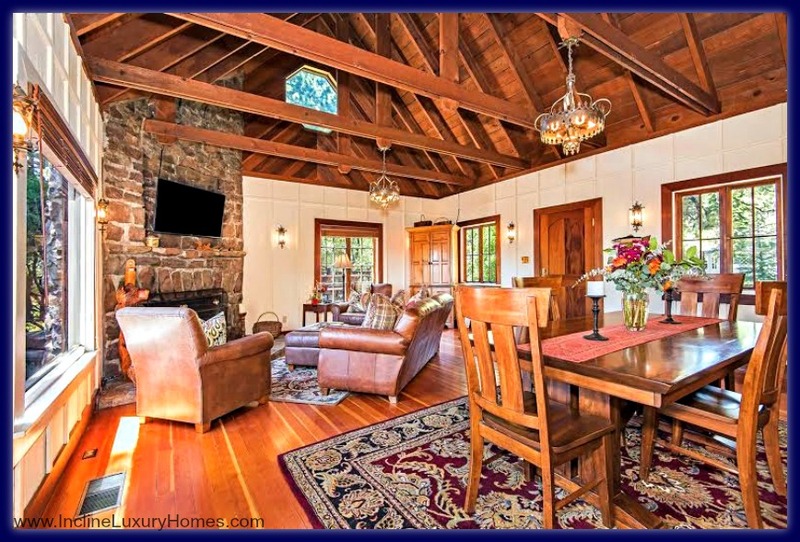 The living room makes a perfect place to entertain your guests with its remarkable authentic wood-beamed ceiling. You can also enjoy a lazy winter evening trading stories with your family by the impressive stone fireplace. 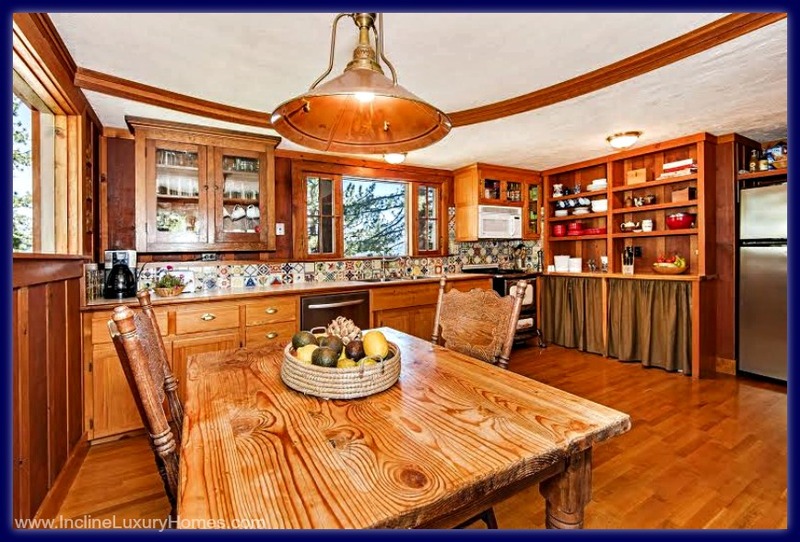 Almost everything in this kitchen is made of fine wood and matches the replica vintage-style gas stove. The setting of this kitchen with a modern touch makes a perfect place to prepare and enjoy dinner with your loved ones every day and during special occasions. 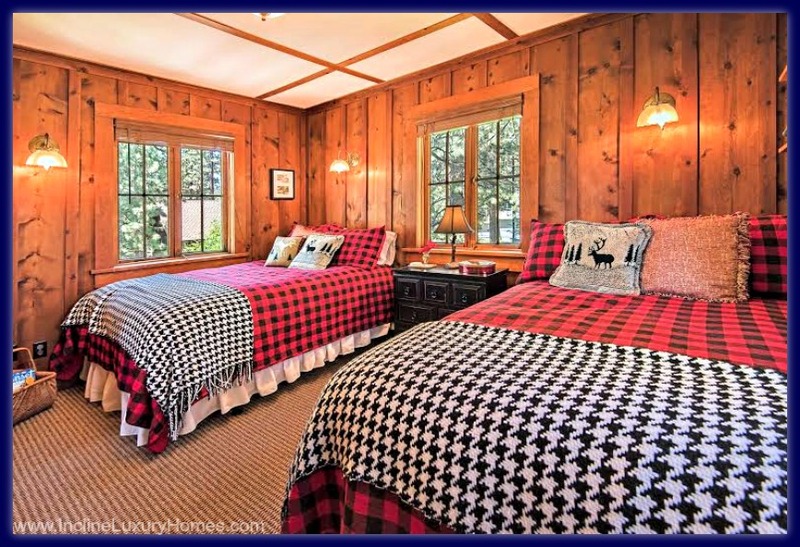 Wake up each morning in this vintage but stylish master bedroom. Cuddle up even on cozy nights as the double-paned wood windows minimize the outside noise and protect you from extreme temperatures. The wood floors are not just stylish, they are very sturdy too. 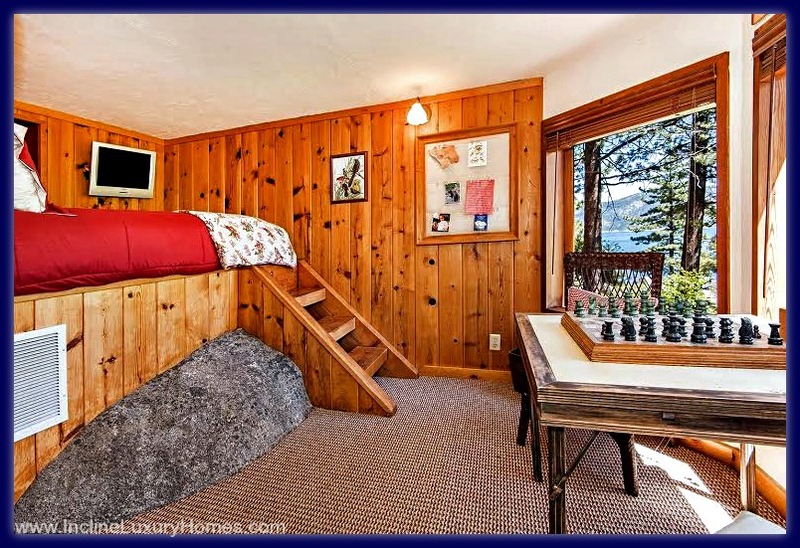 Let your children’s relationship grow strong as they bond and share this spacious bedroom. The great view of nature outside is guaranteed to spike their creativity and imagination. 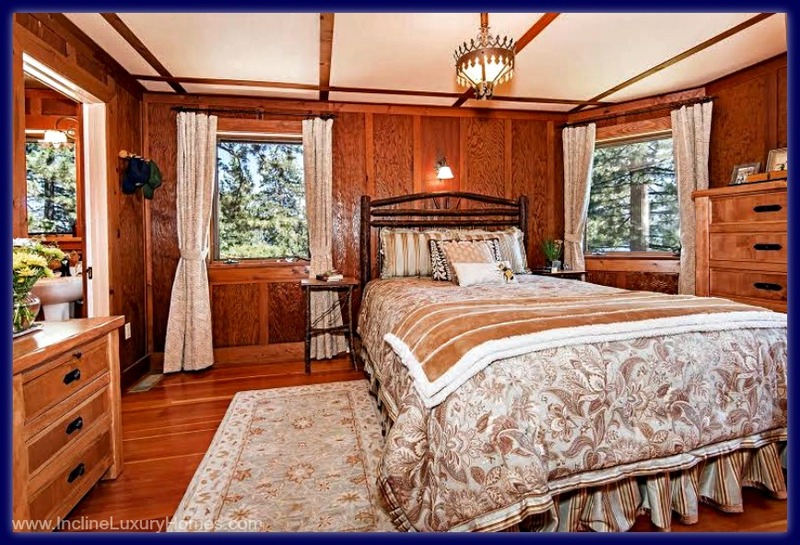 Allow your guests to experience the splendor of nature as they stay in this guest room with a mesmerizing view of beautiful Lake Tahoe. Make their stay even more enjoyable as you add simple surprises such as homemade cookies or a wide selection of local magazines. This bedroom offers a unique layout presenting a mix of vintage and modern living. The incorporation of the boulder in the design of this room has surely made the connection between this living space and the wonderful outdoors. 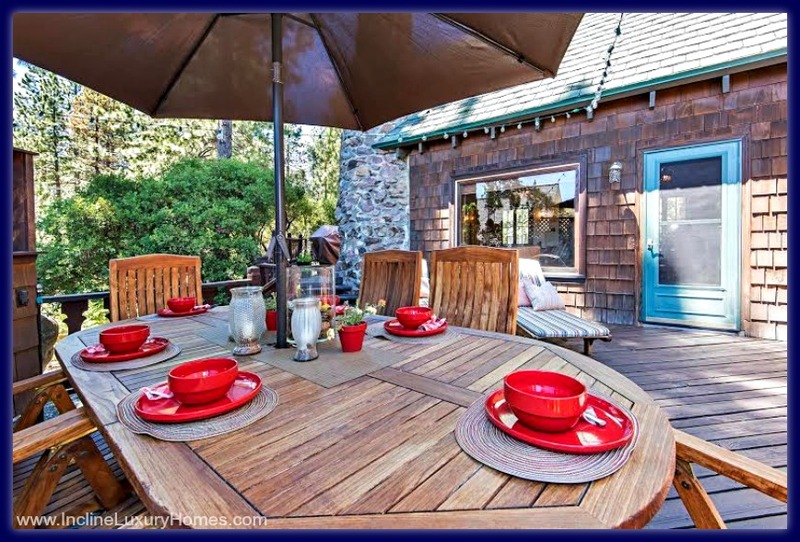 Nothing beats eating meals on this deck that offers you and your family nature at its best. This is a great place to host your parties and gatherings as you and your guests savor the beauty of nature. This remarkable home is walking distance away from a hidden beach where you can enjoy a quiet summer day on a kayak. 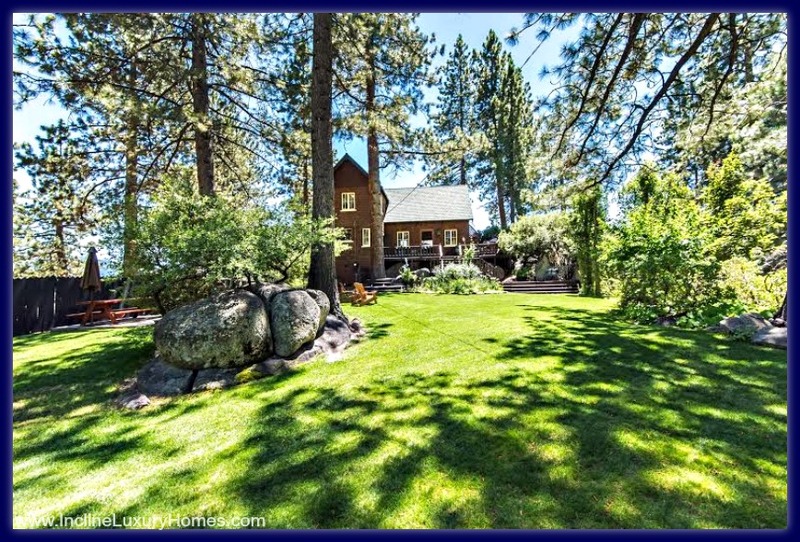 Aside from the incredible Tahoe lifestyle that goes with living in this home, this property is also incredibly priced since the value already includes the adjacent lot that would allow you to build another structure or extend your beautiful garden. Contact only the trusted and experienced Incline Village best real estate agents as you look forward to being the future resident of this extraordinary home in Crystal Bay. Learn more about the wonderful life that awaits you in Incline Village, Nevada by going to www.InclineLuxuryHomes.com today. 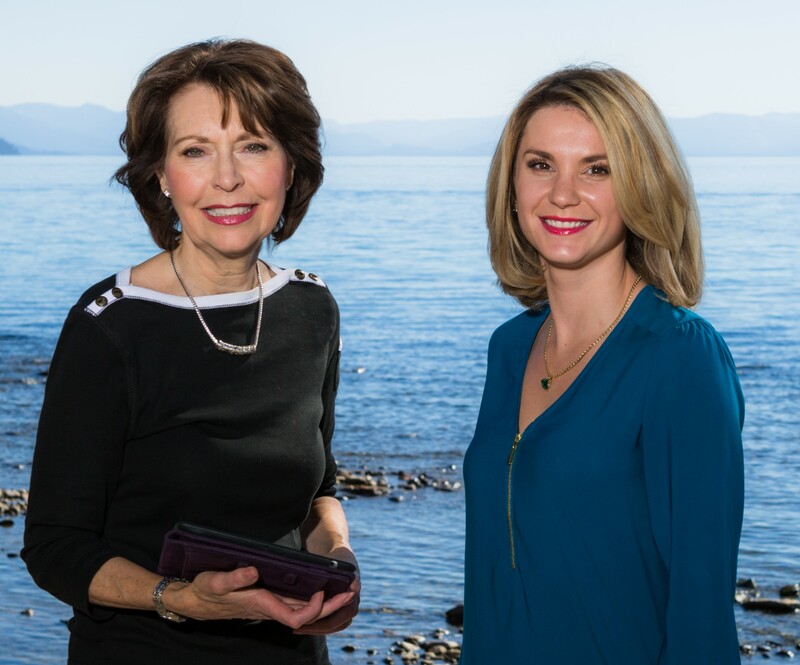 If you are looking for the perfect luxury home or condo for sale in Incline Village NV, call me, Peg Augustus at 775-831-2846. 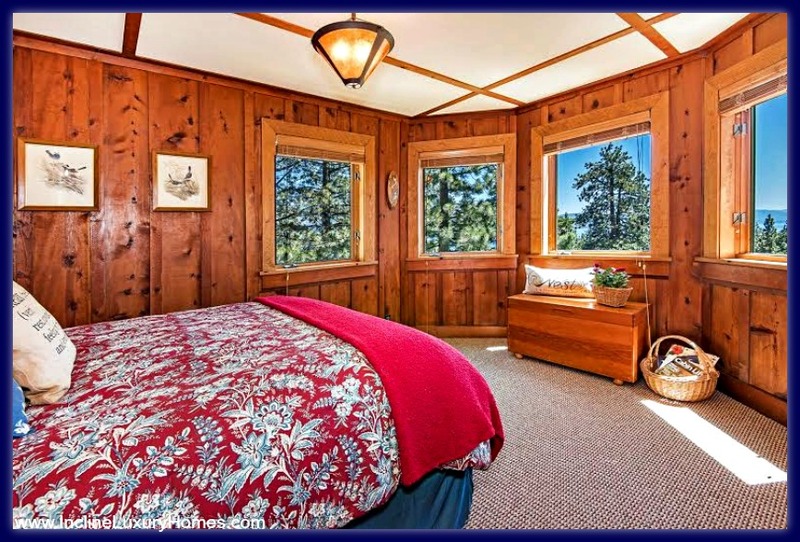 With my personalized service and extensive knowledge of the Incline Village real estate market, I can help you find the perfect property that best suits your needs and high-end tastes.